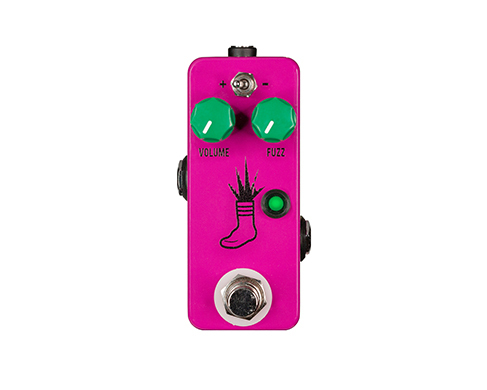 Welcome to the next generation of tiny fuzz that you turn on with your foot… or the Mini Foot Fuzz V2 as we like to call it. 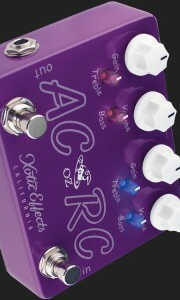 Though this little purple guy may have a toy-like appearance, you will quickly realize the sounds that come from this box are no child’s play. 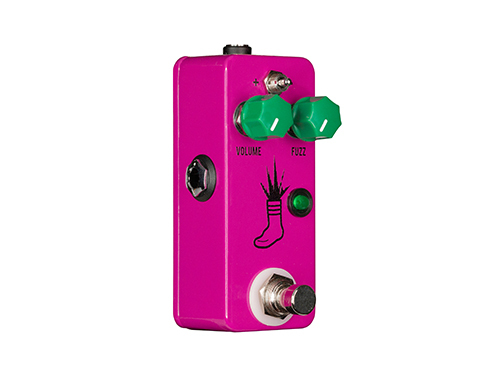 From gated, low-gain splat to almost infinite sustaining buzz, the Mini Foot Fuzz V2 covers a lot of ground with very little fuss and a whole lot of attitude. 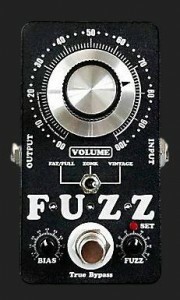 The controls on the Mini Foot Fuzz V2 are as simple as it gets with Volume and Fuzz knobs as well as a toggle for high or low gain settings. 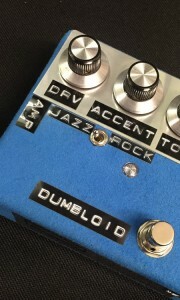 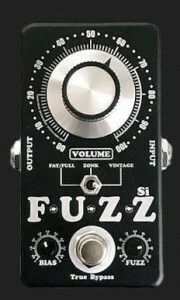 Crank the Volume and leave Fuzz down low to give you lower-gain, vintage-style fuzz. 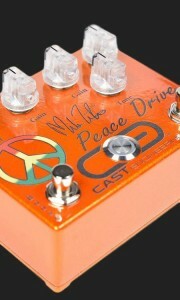 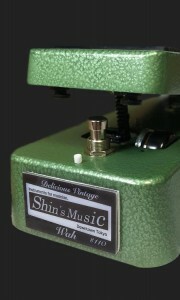 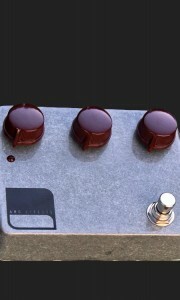 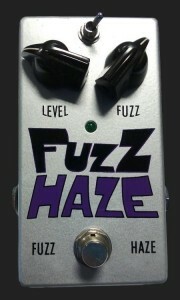 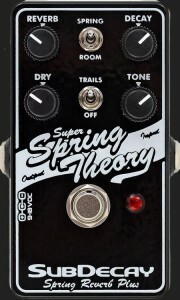 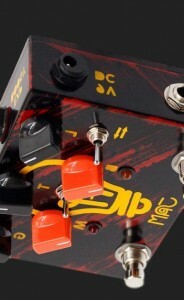 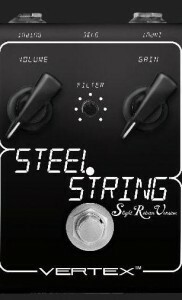 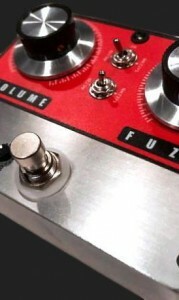 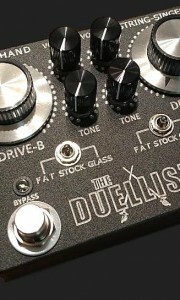 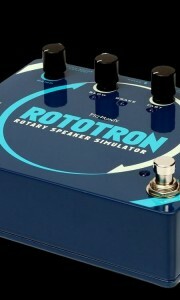 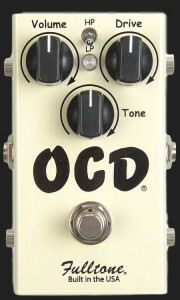 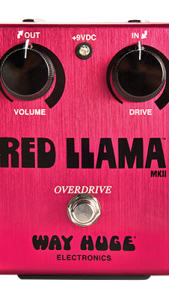 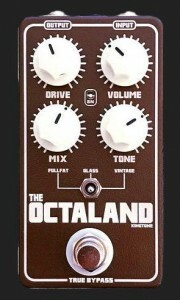 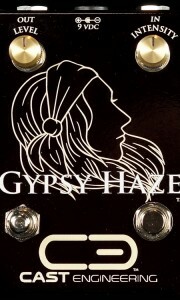 Once you start to crank the Fuzz you will find all the cutting and splatty tones you need for any riff or lead line. 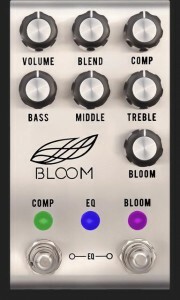 In the – mode, the toggle gives you a low-gain mode where you get vintage broken-speaker type sounds. 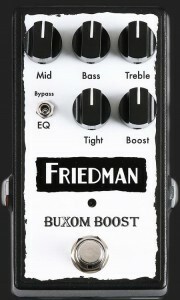 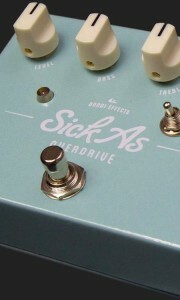 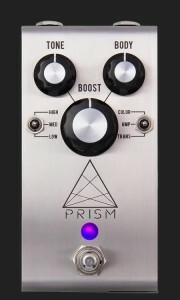 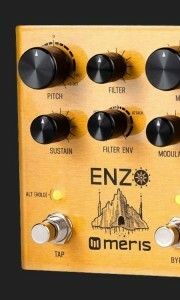 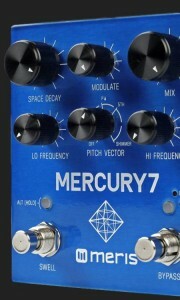 Flip it into the + mode and you get a classic yet modern high-gain buzz to blow the roof off with. 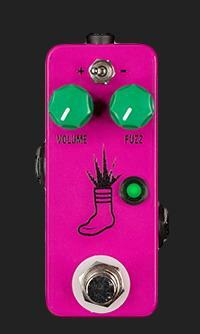 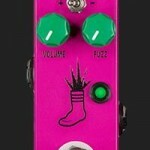 If you’re looking for a versatile fuzz without the fuss, the Mini Foot Fuzz V2 is your ticket. 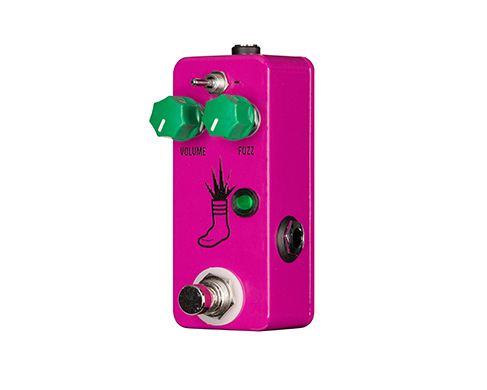 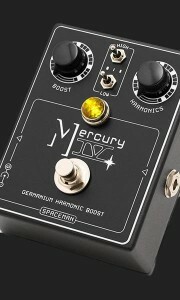 As far as we’re concerned, there’s never been a better Itty-Bitty Foot-Activated Buzzy-Sound device in all creation!